We are excited to provide the Atlanta community with an opportunity to connect over new ideas in local food. For $10, attendees hear 5 pitches and vote on which one takes home ticket sales at the end of the night to make their pitch a reality. 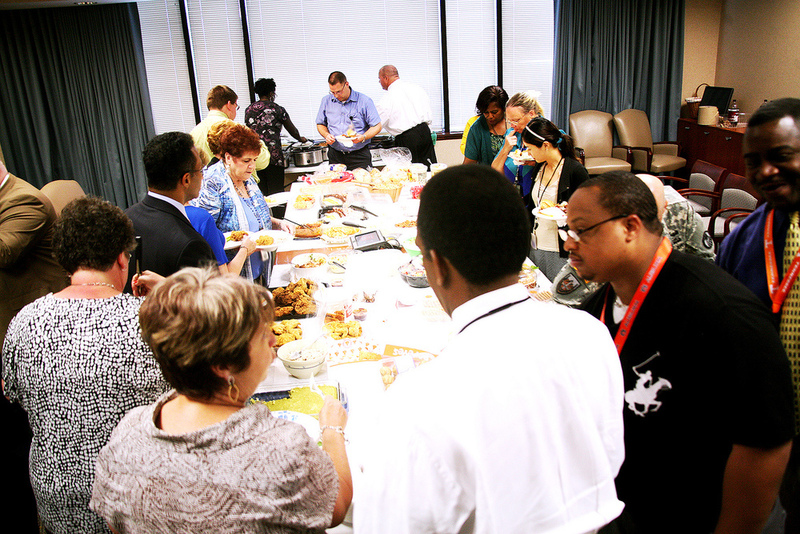 Ideas are shared over a potluck-style meal. Pitches are submitted in advance and pre-selected to present at the event. Submissions due March 19th at 11:59 PM. Event on March 31st from 6-9 PM. Submit pitches to https://www.surveymonkey.com/r/NVN95DX. Event will be held at Atlanta Community Food Bank.